Be sure to expand each of the sections below to learn more! Explanation of Wrap Sizes and "Base Size"
The general way of sizing carries (since different sized wearers will need more or less fabric for each individual carry) is to compare the length needed to one's "base" size. Base size is the size needed to comfortably do a Front Wrap Cross Carry tied in back with a double knot (although some people use a Double Hammock Back Carry Tied in Front as their definition of Base.) Each carry is sized according to how many sizes bigger or smaller than your base size you need to do the carry with. Expand this section for more information on determining base size and what that means. 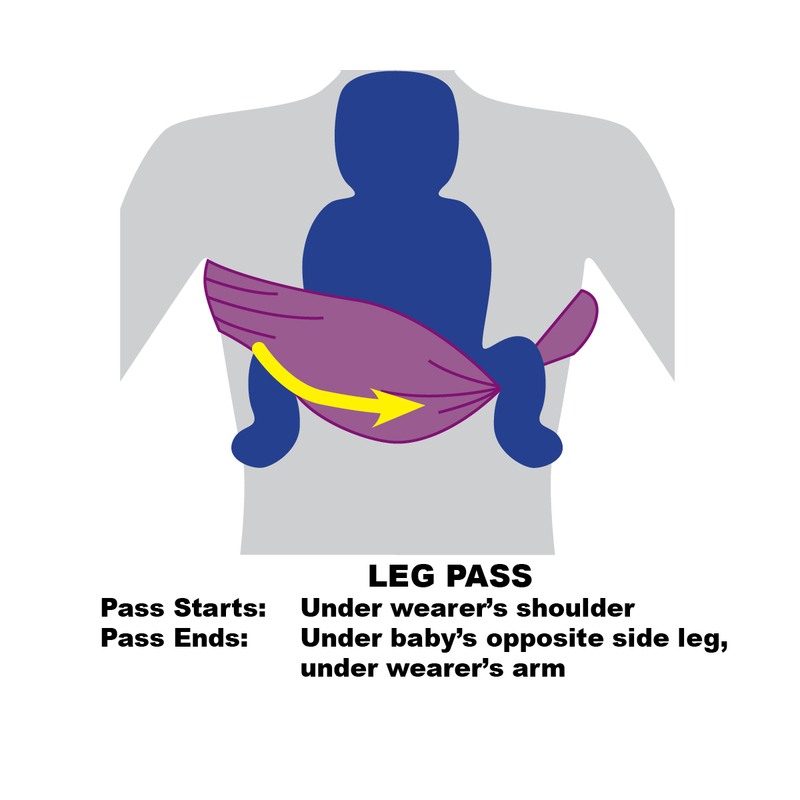 With a few exceptions, almost any size wearer can use any size wrap. What changes is what you can do with each size. The first step is to determine your "Base Size." For most people, this is the size needed to comfortably do a Front Wrap Cross Carry and tie off in the back with a double knot. (If your wrap is tapered, this means tying without tying in the tapers.) For most wearers, this will be between a size 5 and 7, but it could be as short as a 4 and as long as a size 9 or longer. The most important thing is to find a wrap that works for you! A "base size" wrap is considered the standard size for a beginner to learn on, but if you end up with a wrap that is shorter or longer than your base size, don't panic! You can still use it; you'll just do different carries. While this can vary based on bust size, height, wrapping skill, wrap thickness and grippiness, child's age/size, etc, a very general guideline uses what size unisex t-shirt you most comfortably fit into. For most medium-sized women, a 6 is a great place to start. If you are in between base sizes, it is better to work with a size up while learning. As you learn to tighten more efficiently, you will be able to do more with shorter wraps and you may find your "base" size changes to a smaller size. 4.2m - 165" 4.6m - 181" 5.2m - 205" 5.6m - 220"
Woven wrap carries are then categorized based on what size is needed in relation to your base size. 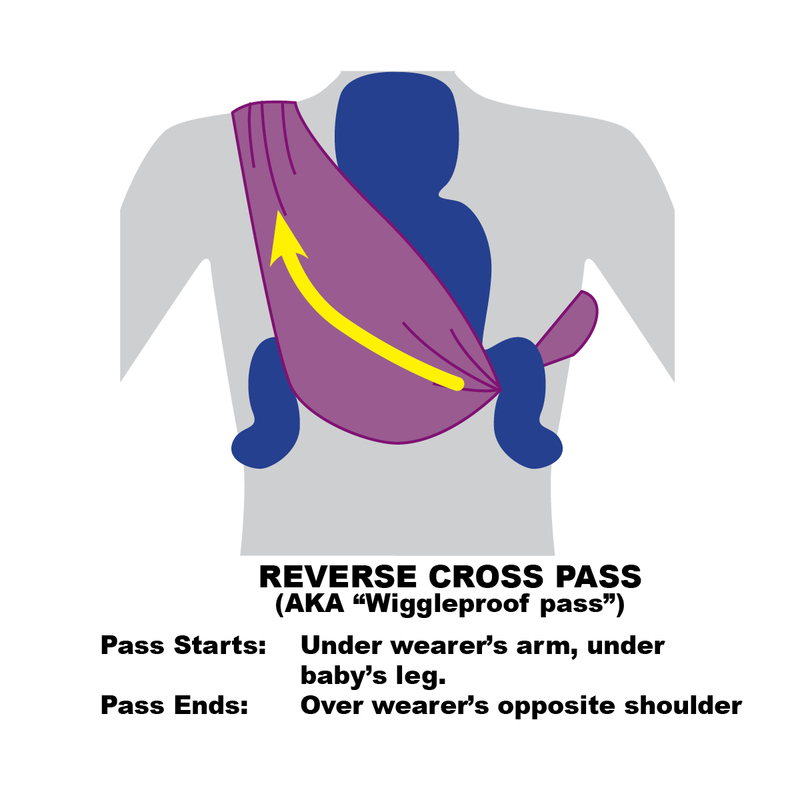 If someone who is a base 6 can do a carry in a size 4 wrap, it is considered a "Base -2" carry (6 - 2 = 4) which means that someone whose base size is a 7 would probably need a size 5 wrap to do the same carry, but someone whose base size is a 5 might be able to do it with a 3. If you aren't sure what your base is and only have one wrap to work with, you can use a couple different "standard" carries to judge. most of these size carries. The best way to learn, if possible, is in person at your local babywearing group with the hands-on assistance of a babywearing educator. In reality, though, you may or may not have access to such a group. It is possible to learn without such help by watching YouTube videos. Expand the section below with information on how to practice. If you are learning on your own, practice with a mirror, a spotter, and over a soft surface. Never let go of your baby until they are fully secured by the wrap, and never leave your wrap tails unsecured while wrapping. It is always best to check with an educator with some selfies or a video to make sure you aren't missing anything important and to receive helpful tips. You can ask in a local BWI group's Facebook group, a global babywearing group like Everyday Babywearing, or a wrap-specific group like Geeky Wrappers. The latter group has an album of specific wrapping techniques and an album of carries, starting with beginner carries. It can also help to practice with a weighted demo doll, or anything else weighted, like a sack of potatoes or a heavy purse. Weight is more important than realistic limbs in a "practice baby." The other key when practicing is to get all of the passes memorized so you can practice with baby without watching a video. Then take videos of yourself wrapping the carry and watch them back. You'll be surprised how many problems you can self diagnose in a video that you won't notice while wrapping in front of a mirror! Why are there so many carries? What are the different passes for? 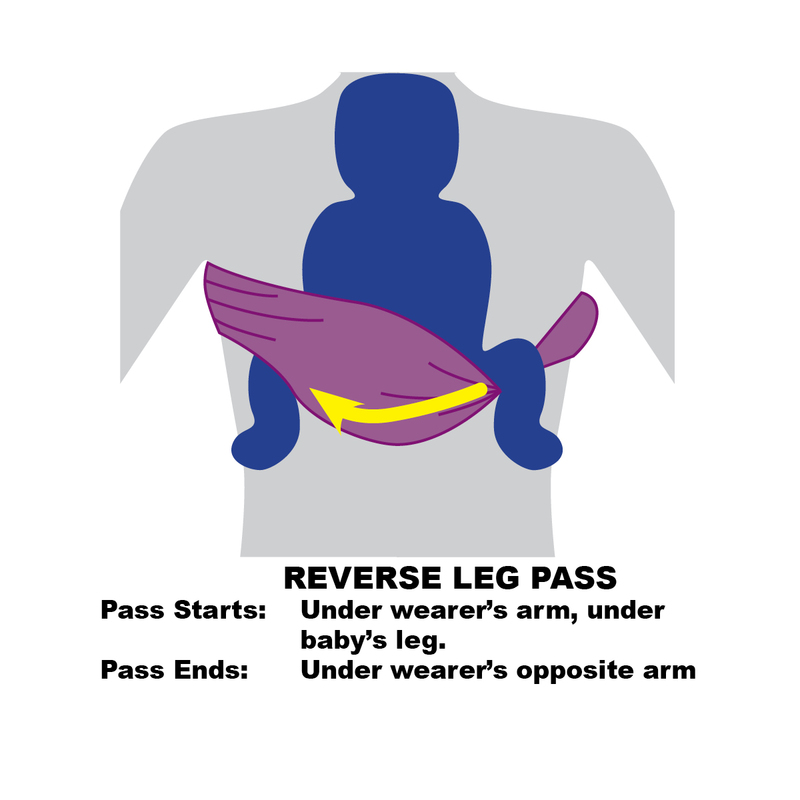 Expand the section below for an explanation of different pass types and what they are and aren't good for. 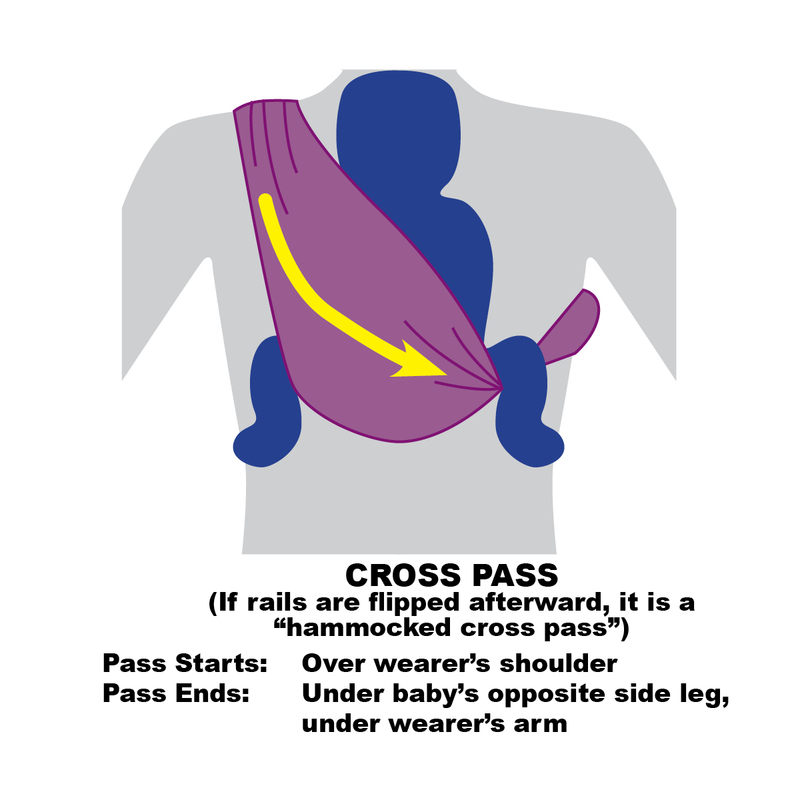 FALL RISK if not combined with a sling or ruck pass in the opposite direction. Purpose: symmetrical weight distribution, lower weight distribution, removes pressure from shoulders. It is typically safest to master several front and hip carries before moving on to back carries. 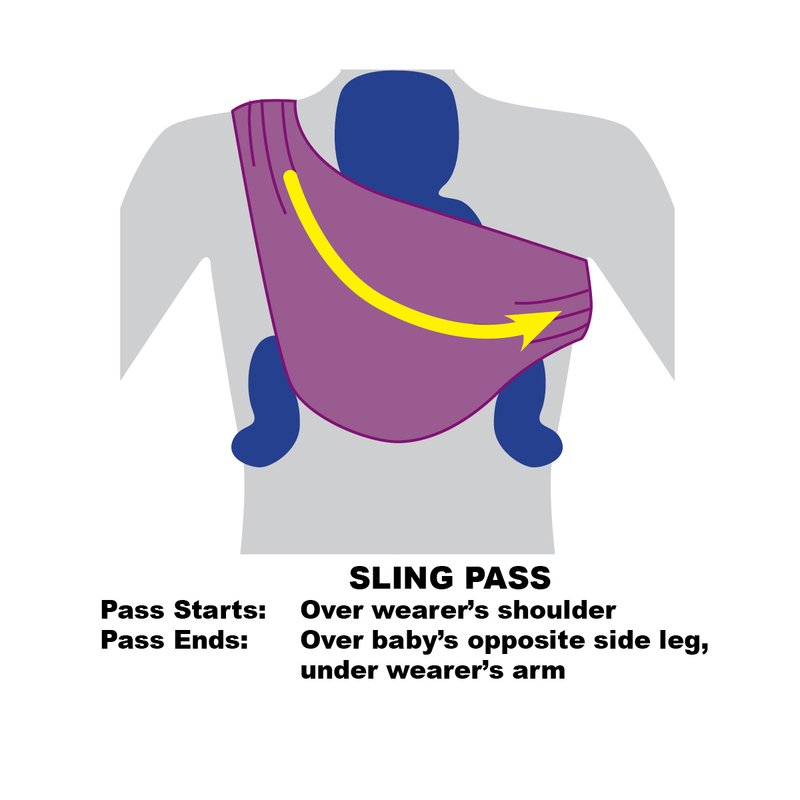 The carries marked as "good first carries" are the best place to start, depending on your wrap size, and will work with newborns or toddlers. 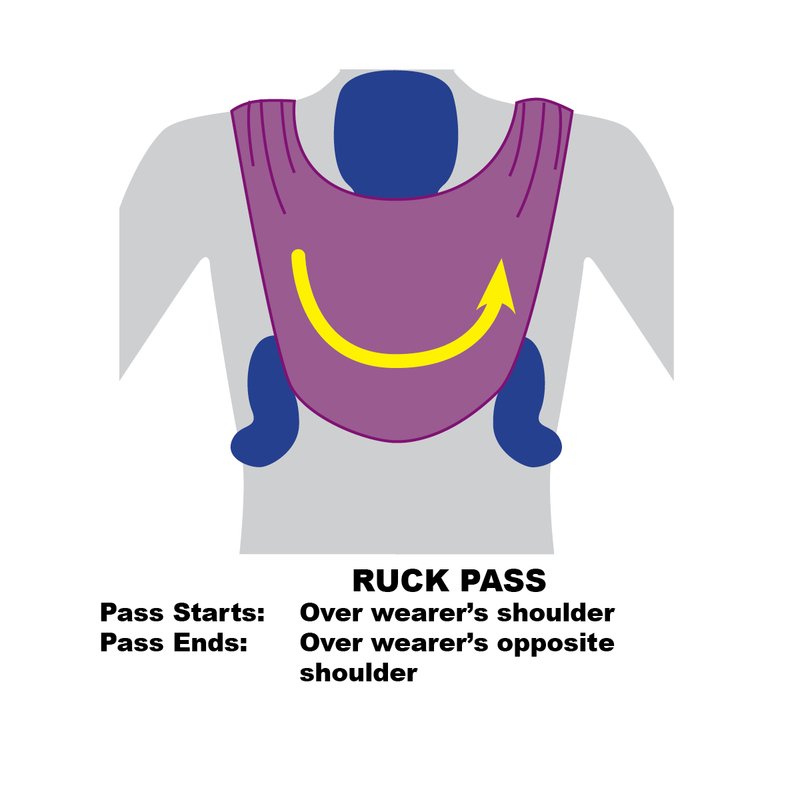 Protip: Once you've learned the basics, I find that Kangaroo or Reinforced Kangaroo are great carries to learn leading up to back carries, as they will teach some of the same seat-making tips that you will use for your first back carries. 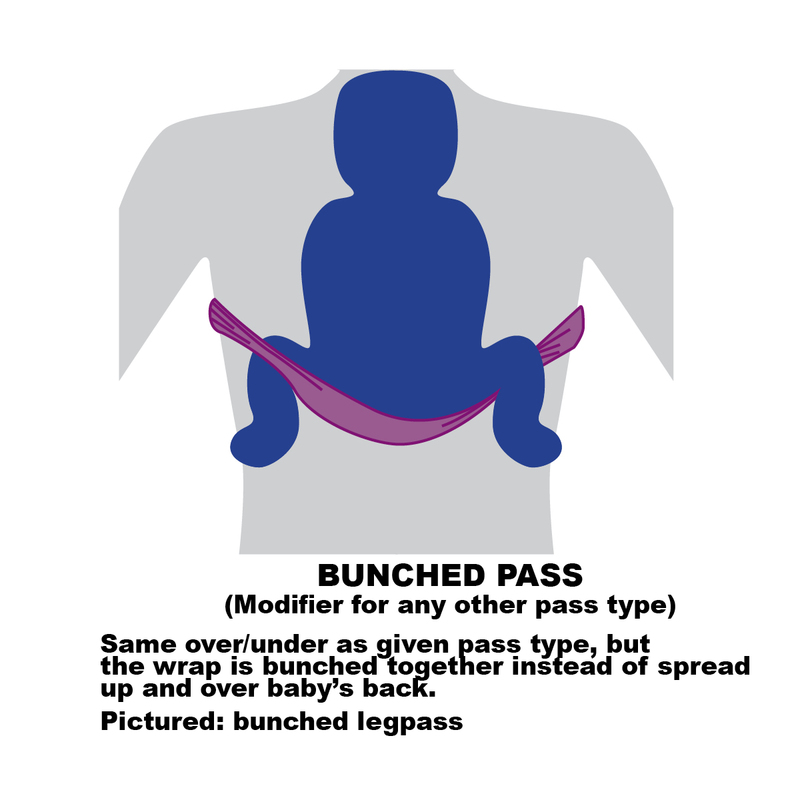 Do not attempt back carries with a woven wrap until you are proficient at several front carries and understand making a deep seat and strand-by-strand tightening. 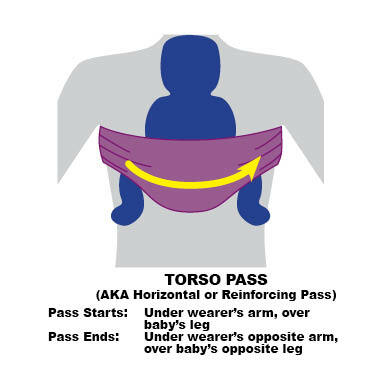 While back carries can safetly be done with newborns by experienced wrappers, it is best for first-time-wrappers to wait until their child has strong trunk control before attempting. Begin by practicing with a mirror and a spotter over a soft surface like a bed. It is good to start by learning a Rucksack Back Carry to master the basics of getting baby on your back, seat making, and tightening, but Half Jordan's Back Carry and Secure High Back Carry are also popular early carries. Wearing two babies at the same time can be a game changer for parents with multiple children, especially twins. Be sure to master wrapping one child at a time before attempting to wrap them both, however. In general, carries with both babies on the front will be easier with twins or babies of equal size. Carries that have one on the front and one on the back can be done with children of different ages. Expand for a list of carries. 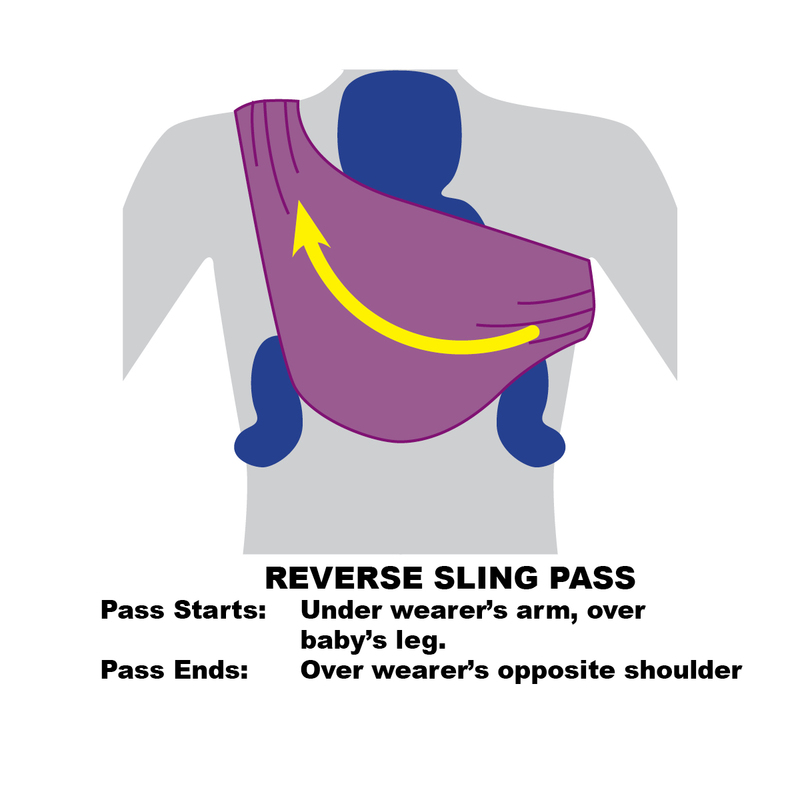 If you are wondering what happened to the terms "Rebozo Carry" or "Rebozo pass" and why some carries' names and acronyms have changed, click here. For a great video on nursing-friendly carries, click here.